Date: Apr 24 2018, 6 p.m. - 8 p.m.
Military spouses, mark your calendars for this special night of fun and shopping at the Fort Sill Main Exchange and food court from 6-8 p.m. 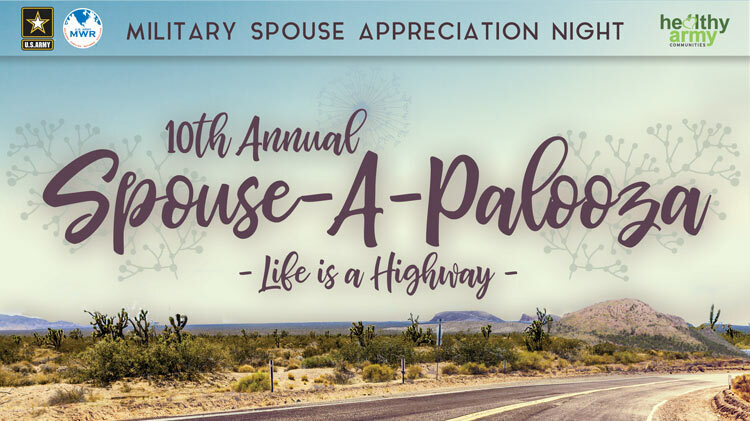 This free event is open to the first 400 active duty military spouses to register and will include giveaways and prizes, product sampling, hors-d'oeuvres, beverage tastings and athleisure-styled fashion show. The registration for Spouse-A-Palooza is closed. The event is FULL. We are excited to see everyone who signed up at the event. Thank you for supporting Family and MWR Programs!